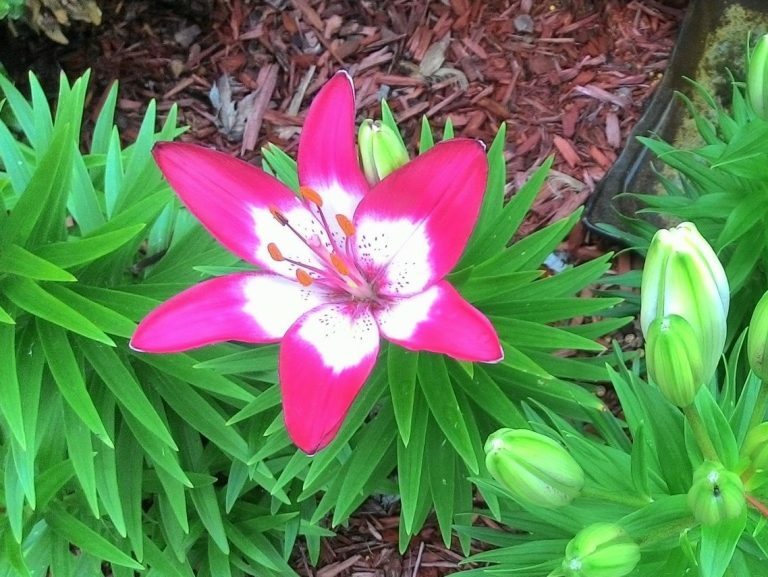 Lollipop Lily is a small lily flower plant. Flower color is white in the center and pink on the outside border. Latest estimated blooming month, June. We have other lily varieties growing up in our garden. Check our garden inventory.